he broad roads, the historic narrow lanes, the mouthwatering street food, the historical monuments, the modern buildings and the welcoming hearts together make the Mini India and the Capital of the Nation, Delhi. Being of the historic yet modern cities of India, Delhi is glorified for its rich culture, traditions and heritage. The land that houses the splendid monuments to the dazzling architectural buildings, the yummilicious finger licking street food to the multicultural food. The elite malls to shopping markets, Delhi has everything for everyone. Directed by plenty of great dynasties and empires, this city has been the epicenter of political, religious, cultural, social evolution. Home to the millions of dreams, it is a place that will just not touch your pulse but will fastens it to a frenetic speed. With a mysterious eternity, Delhi is a culmination of seven cities built by different emperors. Now being the hub of major commercials and cultures, Delhi has its everything on mouth of the people. Whether it's shopping or food or day and night life, you name it and Delhi has it. The wandering streets, the lively markets the food centers, the tree- lined boulevards, huge colonial buildings, skyscrapers and malls, Delhi is the perfect fusion of history and modernity. The history of Delhi is as mature as the epic Mahabharata. Being the witness to the rise and fall of many empires, Delhi portrays a great deal of historic significance. Initially being a town to the Pandavas, it was known as Indraprastha. With a due course, eight other cities combined to make the Delhi what it is now. The cities include the Lal Kot, Siri, Dinpanah, Quila Rai Pithora, Ferozabad, Jaahanpanah, Tughlakabad and Shahjahanabad. The sultanate of Delhi was established in 1206 post when the warrior of Afghan, Muhammad of Ghori captured the Rajput Town in 1192. Later in 1398, Timur invaded Delhi and the tenure of the sultanate came to an end. With the establishment of the Mughal Empire by Babur was acknowledged with his victory in the battle of Panipat in 1526. While Agra was the capital for quite a few Mughal Emperors until Shah Jahan built the walls of Old Delhi in 1638 and made it the capital of the Mughal Empire. Later the final invasion of Delhi by done by British in 1803 AD and by 1911, the capital of British Raj was shifted from Calcutta to Delhi. Being the center of government activities, Delhi was then announced as the Capital of India post Independence in 1947. Delhi as it is a blend of history and modernity; it is divided in two parts, Old and New Delhi. The origin of the rich culture that Delhi houses, is from the place called Old Delhi. Initially it was the Shahjahanabad of the Mughal Emperor Shah Jahan. With the victory of Babur in battle of Panipat in 1526, the Mughal Empire was formed. For the most of the Mughal Emperors, Agra was the prominent capital for their empires, yet Shah Jahan buit the massive walls of Shahjahanabad in 1638 and named it as his capital. With the three main gates of the capital of Shah Jahan, namely the Kashmiri Gate, Ajmeri Gate and Turkman gate, Kashmiri Gate was the prominent gate of the city. 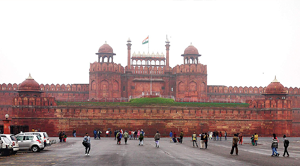 In the middle of the city was the Massive yet mesmerizing Fort which was known as the Red Fort, Lal Quila because of its red sand stone built walls. Just opposite to the gate of the magnificent fort lies the main market of the city which is till date known as Chandi Chowk. Famous for plenty of things, this market of Old Delhi serves the best of the historic culture till today. With some of the dazzling monuments and markets in Old Delhi, it is the most crowded locations of Delhi, yet the one, one should actually visit. With the rise and fall of many empires, the final empire that ruled Delhi till India got its Independence and Delhi was officially declared as the capital was the British Raj. The original commercial capital of British Raj was Calcutta (now Kolkata) but later in December 1911, George V of Britain shifted the capital of their British Empire to Delhi. With the construction that began in 1912, a straight yet diagonal pattern of the board tree-lined avenues was the capital of British and now known as the New Delhi. With major of New Delhi houses the government building, museums and research buildings. With the beautiful architecture of these buildings, once again this part of Delhi shouldn't be missed to explore. Some of the most crucial constructions of Delhi lie in New Delhi. Being the center of most of the markets and malls, this part of Delhi is alive at all times of the day. Some of the magnificent architectures those are considered to be in the top attractions list of Delhi one must see in their Delhi Tours have their lands in New Delhi. While Delhi just not being the Capital of India, it is also a Historic City with major magnificent attractions that fascinates travelers and tourists from all over the world. 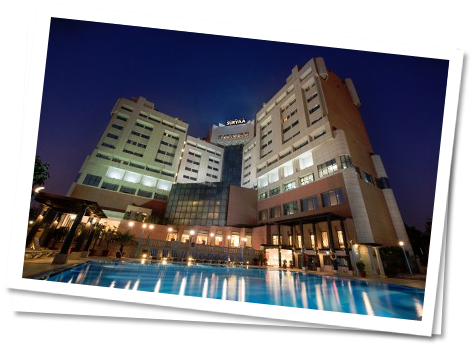 As it is the hub of major Commercial aspect, Delhi is full of countless tourists' attractions and places of interests. 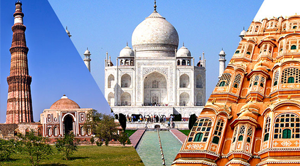 While Delhi is being explored by people from all over the world, Delhi is considered to be in the Golden Triangle Tour Circuit of India while Delhi Tourism marshals plenty of cultural programs and shows. The thrilling excursion tours to the major attractions of Delhi, the Heritage Walks, the Evening Tours, Shopping Tours, Food Tours and plenty of them awaits for the travelers.While Delhi is a fusion of history and modernity, till now, the narrow lanes, old havelis, colorful bazaars, rickshaws, the architectural monuments fascinates all. While in the modern terms, the well - planned extensive metro network of Delhi, the elite malls, entertainment aspects, luxurious residential complexes and sporting facilities is what one really needs to explore. Delhi has a wide extensive network of Major National and International Airports which is India Gandhi International Airport and overall Indian Network of Railways. 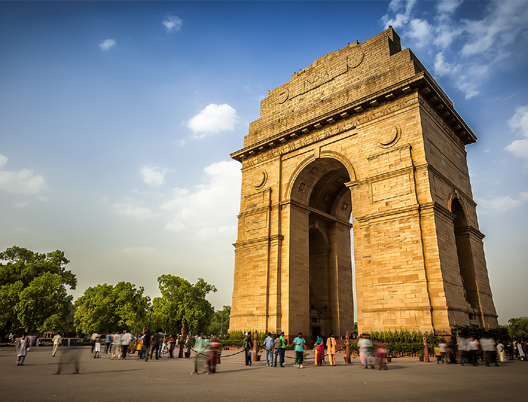 India's capital territory [Delhi] in itself is an eminent name topping the list of gateways; it serves as a gateway to other major tourist destinations in India. The Indira Gandhi International Airport of Delhi is where the impressive population of visitors is seen. Various airlines fly in service to this amazing territory of India [regular flights cover the distances in less than no time]. Delhi being the centre of communication is well-connected from the other major tourist attractions of India. It often serves as a meeting point; it's situated at a workable distance from the destinations like - Agra, Jaipur, Mathura, Fatehpur Sikri, Varanasi, Lucknow etc. Just follow the directions and pay your visit to Delhi. This territory is also well connected by bus services [the prominent bus stands are - Maharana Pratap Inter State Bus Terminus [Kashmere Gate]| Sarai Kale Khan ISBT| Anand Vihar ISBT etc. Being the city of diverse combinations, historical monuments, Knowledge and uniqueness infused museums, distinct vibe consumed shopping markets, Places of worship, cafes, restaurants, fairs, festivals etc makes it a place of great importance. You can easily place your visit to Delhi from major cities of India as regular trains run in service; here are the names of some prominent railheads in Delhi - New Delhi Railway station [NDLS], Anand Vihar Terminal [ANVT], Hazrat Nizamuddin [NZM] etc. The combination of pleasant weather and significant attractions work out extremely well; hence commencing from the month of October to March is regarded as the best-suited duration for exploration. Summers in Delhi give its residents all the reason to relax back at home; these are the days when people try to avoid any work that makes them stand in the scorching heat. 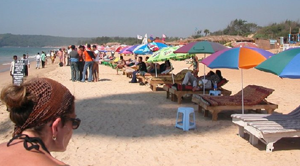 Summers begin from the month of March and lasts till the end of May; the temperature varies from 25 degree Celsius to 48 degree Celsius. 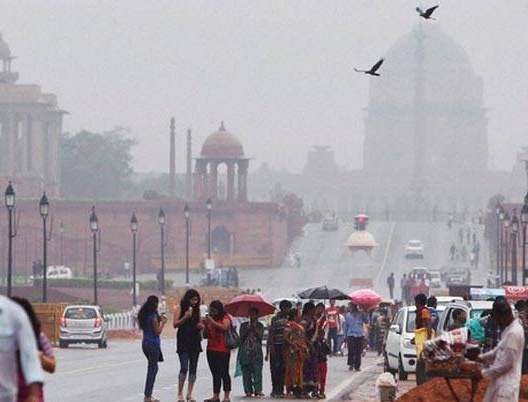 India's capital Territory [Delhi] receives moderate rainfall; the monsoon days give the rain-lovers an opportunity to step out from their homes and celebrate life. Monsoon starts from the Month of June to lasts to the end of September; the temperature varies from 24 degree Celsius to 35 degree Celsius. 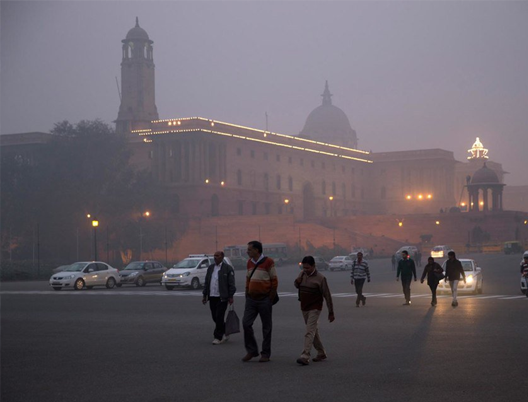 This is the duration when days and nights of Delhi are dressed in foggy surroundings; it cuddles in the presence of chilly winds. The winters begin from the last days of October to the mid of March; the temperature varies from 6 degree Celsius to 22 degree Celsius. From 2 star to the 5-star hotels [well-rated and reviewed spots of stay]; India's capital territory is equipped with numerous options when it comes to planning your stay. Most of them are adorned with all sorts of amenities [from the basic to the advanced]; varied themed-restaurants; health zone, play zones etc, spa area etc]. You can plan your stay in accordance to what suits your budget and choices. From the ethnic to the fancy accommodations - pick, which pulls all your attention. An interval of 2 to 3 days is highly advisable; however, you can spend as many days as long it interests you. It houses some of the most imposing formations; in fact, it great fully exhibits a magical combination of Historicity, ethnicity and modernity. 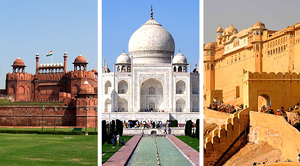 Here are the names of some major attractions one should look forward to paying their visit upon arrival - the Red Fort, India Gate, Qutub Minar, Chandni Chowk, Lotus temple, Humayun's tomb, Akshardham Temple, Rashtrapati Bhavan, Jantar Mantar, Laxminarayan Temple etc. Delhi being the territory serving diversity makes the marketplaces even more exciting; filled with various shades and happening emotions that comes along while shopping. Some markets are specific to certain items and products and some offer all the products of necessity in one place. 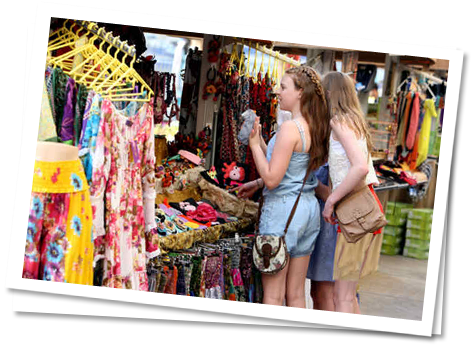 Here are the names of some major and well-recognizable marketplaces one should visit in order to make the most of a shopping tour- Janpath Market, Tibetan Market, Dilli Haat, Chandni Chowk, Khan Market, Sarojini Nagar, Lajpat Nagar, Matka Market etc. 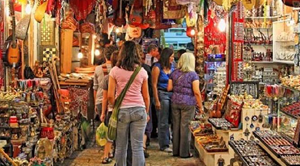 Buying souvenirs is one of the eminent activities one always look forward to while exploring several destinations [all different from one another] residing in this happening nation. Here is a mini list of suggestion [souvenirs to buy from Delhi] - Traditional Silver Jewellery, antiques, Handicraft puppets, Silk Sarees, embroidered footwear and handbags, Handmade show-pieces, Bead Necklaces, Decorative door tassels, Brass vessels, Silk scarf's etc. The red sand stone building built by the Mughal Emperor Shah Jahan in 1639, is one of the best example of apex of Mughal Architecture and zeal for precision, grandeur and finesses reflected during the Mughal Era especially during the rule period of Shah Jahan. The massive reminder of Mughal Architecture built in 1644 by Mughal Emperor Shah Jahan stands tall in Old Delhi. Built with red sand stones and white marble, Jama Masjid is Asia's Largest Mosque with three gates, four towers and two 40meters high minarets. This is the only mosque of Asia that houses 25000 people at a time. The first substantial example of Mughal Architecture in India was built in the memory of second Mughal emperor Humayun by her wife Bega Begum. This magnificent mausoleum stands as a magnificent testament to the style of Mughal Royal Mausoleums. It is the first of the grand dynastic garden tombs commissioned it. 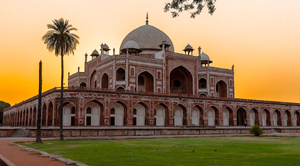 Best preserved as a Mughal Monument, Humayun's Tomb was declared as a UNESCO World Heritage Site in 1993. The home to the World's largest Democracy's President, it is the whole soul power house to the Nation. This splendored multi dimensional vast mansion and its archits is another magnificent architecture of India. With two channeled Mughal gardens by its side, and a beautiful fountain in the middle, this Rashtrapati Bhawan is one of the famous tourist attractions of India. Built by Edwin Lutyens in 1921, India Gate stands tall in the center of the city. 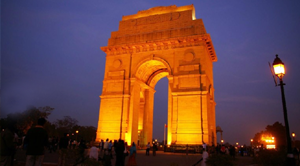 An "Arc-de-Triomphe" that commemorates and honors the 70,000 soldiers who proudly gave away their lives fighting for India in Afghan and World Wars. In the middle of the memorial stands the Amar Jawan Jyoti - Indian Army's Tomb of the unknown soldiers. As a celebration of conquering Delhi from Hindu Ruler over the Muslim Dominance, this 73meter high tower was built by Qutub-ud-Din Aibak in 1193. This five storey tower built with red sand stone and marble is the highest brick minaret in the world. 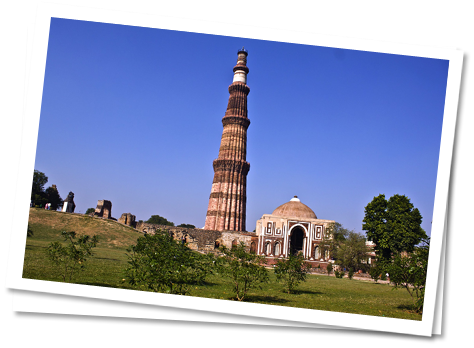 Located in the heart of Delhi, Qutub Minar is another UNESCO World Heritage Site in Delhi. The black marbled square platform memorial of the father of the Nation, Mahatma Gandhi was built post his assassination in 1948, exactly where he was cremated. Surrounded by beautiful park planted with huge trees and plants and few Gandhi Museum nearby, Raj Ghat is the most crucial historic memorial of India. Showcasing India's ancient architecture, traditions and timeless spirituality, this temple is dedicated to lord Swaminarayan in 2005. A temple that manifests the 10,000 years of Indian Culture with its magnificent grandeur, allure and wisdom. A Lotus Flower shaped Temple built with pure white marble is the last architecture of Major Bahai's temples built around the world. Designed by Architect Furiburz Sabha who chose Lotus structure which reflects the Hinduism, Buddhism, Jainism and Islam at the same time. Surrounded by nine pools, this temple captivates the interests of more than 10,000 travelers every day. 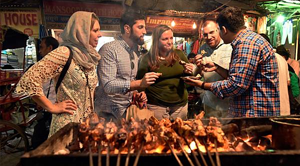 Apart from the monuments, Delhi offers many activities which include the Food Walk, Shopping Tour, Sightseeing tour of Monuments, Heritage Walk and many other activities. In the words of Mirza Asadullah Khan Galib, "I asked my soul what is Delhi? And she replied: The world is the body and Delhi its life."